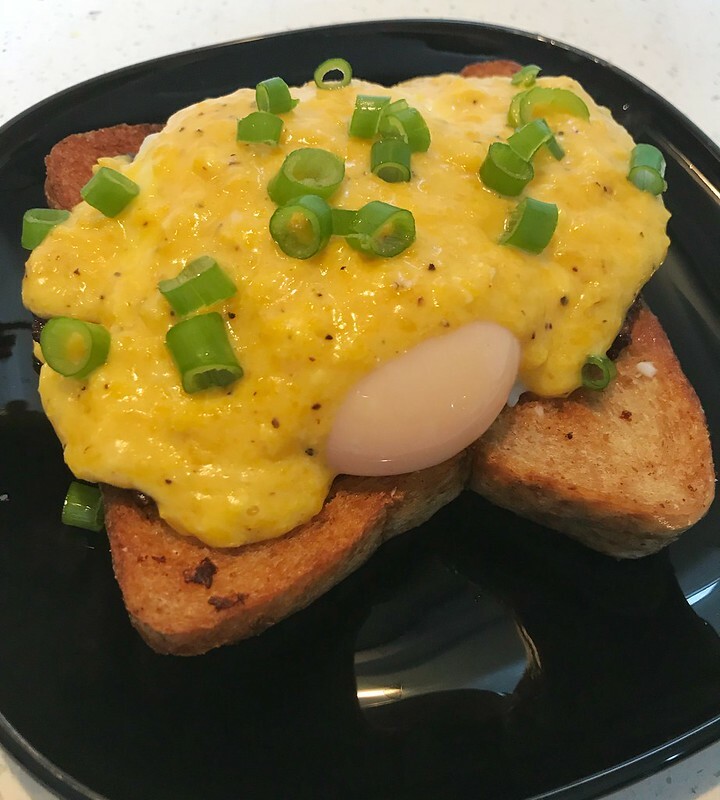 My husband is a crazy egg lover. He likes onsen tamago, half-boiled egg, scrambled egg, hard-boiled egg…… I can’t really tell which egg he doesn’t like. So I assume he likes this Benedict egg too. 1. Prepare a big and deep pot. Add in enough water, which must be higher than egg in height. Turn to high heat and bring water to boil. 2. Once water is boiled, turn off the heat. Crack an egg in. Don’t stir, don’t move anything. Let the egg hold together. You can also add in 1 or 2 drops of vinegar or lemon juice before add in egg, which can help egg to settle better. 3. When the egg white stops being translucent, turn on the lowest heat. When the white film shows up over egg yolk, remove the pot from the heat. If you want your egg to be less raw, you can keep it there for a little longer. Otherwise, you can carefully scoop it out. 4. Melt 1 tablespoon butter in pan. Add in 2 egg yolks. Cream them together. Add in a little black pepper and 1 tablespoon water or wine if you have. Stir to make all ingredients egg yolk sauce. 5. Heat a pan. Fry bacon till crispy. Use the same pan to fry bread. I only have regular bread left in my home. So I have no choice. 6. Bread at the bottom, then place bacon. 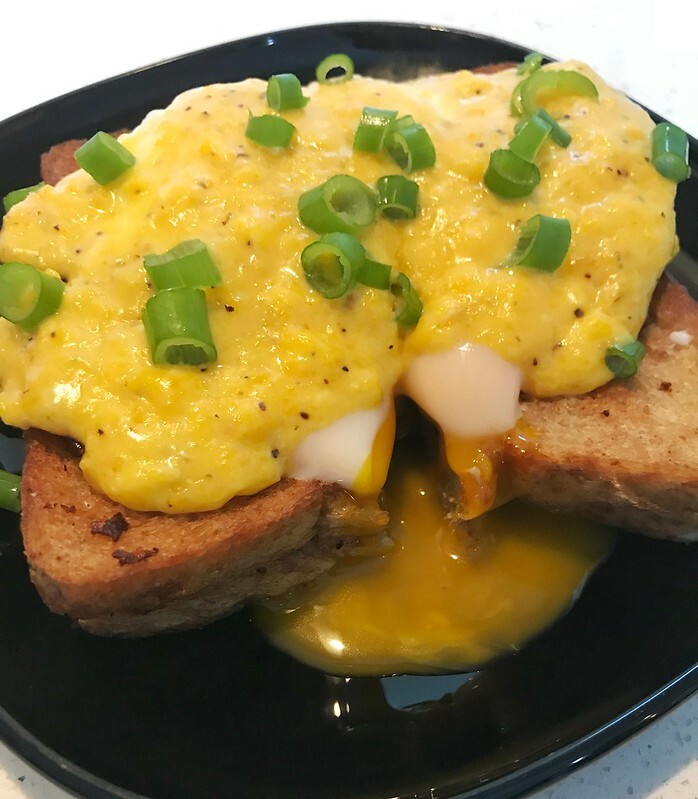 Egg on bacon and egg yolk sauce over egg. Garnish with chopped spring onion. Oh, my husband loved it very very much. It’s very satisfying when poke the running egg yolk.